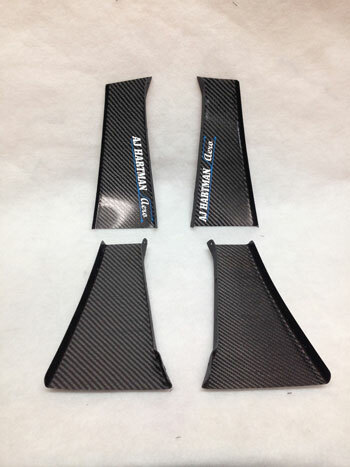 100% Carbon Fiber canards designed by RHR Performance to add downforce to the front of your BMW E92. Our E92 canards are a great way to add front downforce and style to your car. They are 100% carbon fiber and come with hardware to install. After initial install, they can be taken on and off in minutes. This allows you to tune the desided amount of downforce wanted depending on the track and conditions. They are sold as a complete kit of 4 (upper and lower for both sides). Note: We can sell individual canards.